A local court said Tuesday that it has approved a request by South Korean plaintiffs to seize Korean assets of Japanese steelmaker Nippon Steel & Sumitomo Metal Corp. over Tokyo's wartime forced labor. 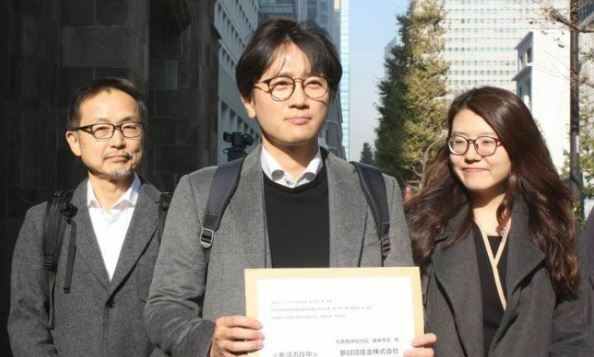 The move came as the firm has refused to follow an order by South Korea's top court to compensate four victims of Japan's forced labor. A legal counsel representing two of the victims has filed for the seizure of shares of PNR, a joint company between the Japanese firm and South Korea's top steelmaker, POSCO. The Japanese steelmaker is estimated to hold around 2.34 million shares of PNR, valued at some 11 billion won. The lawyers requested the court to seize 81,075 shares of PNR, a company that recycles by-products from steel making. "We are in the process of sending documents to PNR over the asset seizure," an official at the district court in Pohang, some 374 kilometers southeast of Seoul, said. If the order goes into effect, Nippon Steel & Sumitomo Metal is expected to lose its right to dispose of the shares. PNR said that it has yet to receive the documents from the court. Nippon Steel & Sumitomo Metal was quoted by Japanese broadcaster NHK as saying that the company plans to continue consulting with the Japanese government over its response to the court's decision. In November, the top court issued similar rulings against Mitsubishi Heavy Industries Ltd., ordering the company to pay compensation to ten former forced laborers.